Swanson Cranberry allows you to get the most out of the wonder-working cranberry, but in a new, modern and contemporary form. 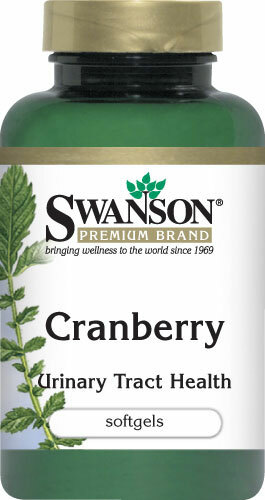 Cranberry juice has been recommended as a natural and safe way to maintain a healthy urinary tract for many years. The sharp flavour and tartness of these fruits, however, force many to deprive themselves of this healthy option. 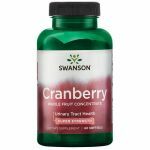 To deal with this problem, we created special and easily ingestible softgels that contain a potent 20:1 cranberry juice concentrate. One bottle consists of 30 softgels. Other ingredients: soybean oil, gelatine, glycerine, beeswax, soy lecithin, purified water, carob, silica. Directions for use: As a dietary supplement, take one softgel twice daily with water.